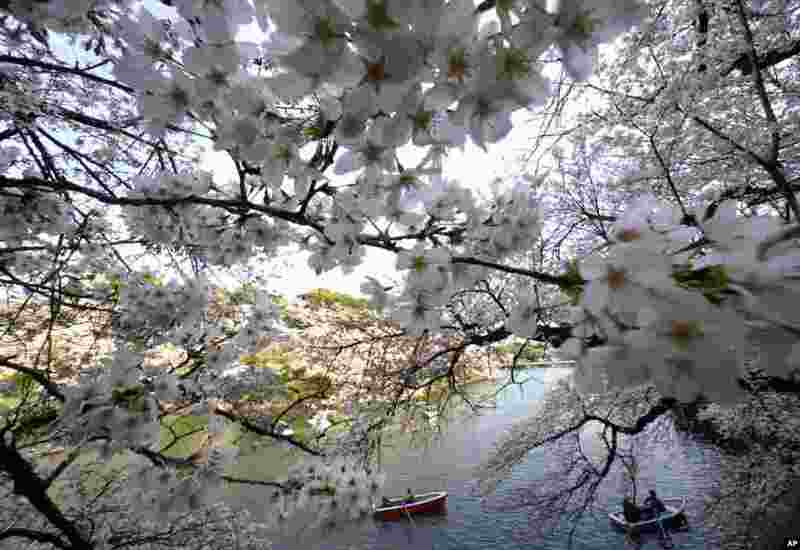 1 Visitors on boats enjoy Someiyoshino cherry blossoms at Chitorigafuchi Imperial Palace moat in Tokyo. 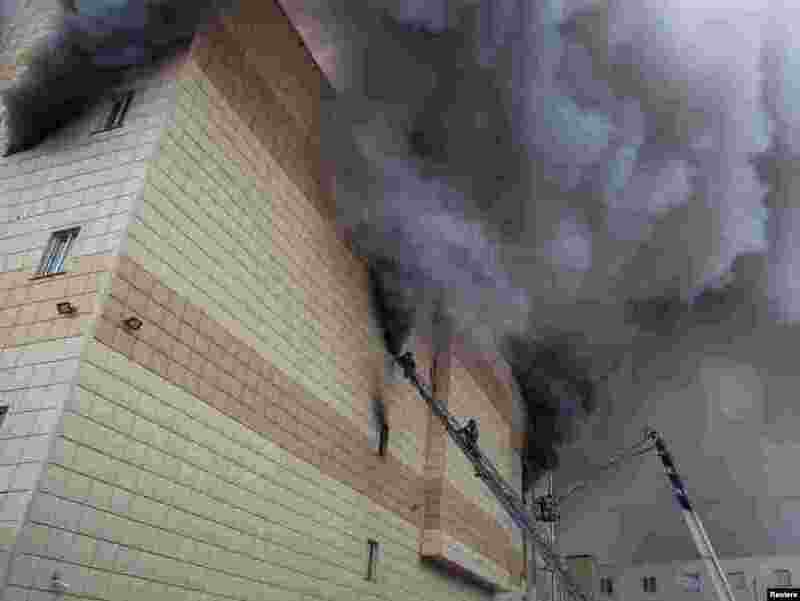 2 Members of the Emergency Situations Ministry work to extinguish a fire in a shopping mall in the Siberian city of Kemerovo, Russia. 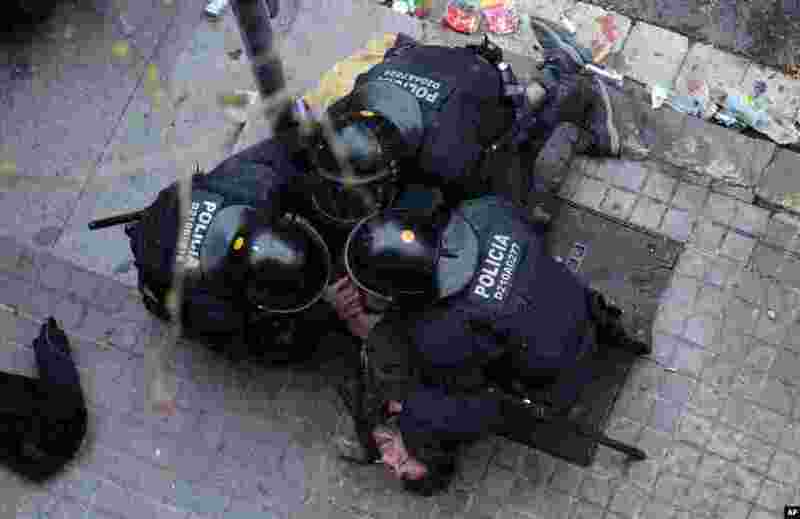 3 Catalan Mossos d'Esquadra regional police officers detain a man during clashes with pro-independence supporters trying to reach the Spanish government office in Barcelona, Spain. 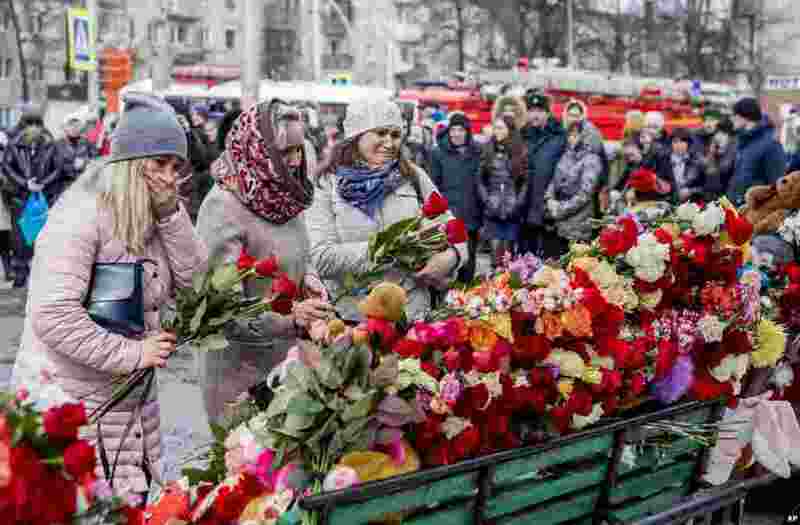 4 People lay flowers for the victims of a fire in a multi-story shopping center in the Siberian city of Kemerovo, about 3,000 kilometers (1,900 miles) east of Moscow, Russia.